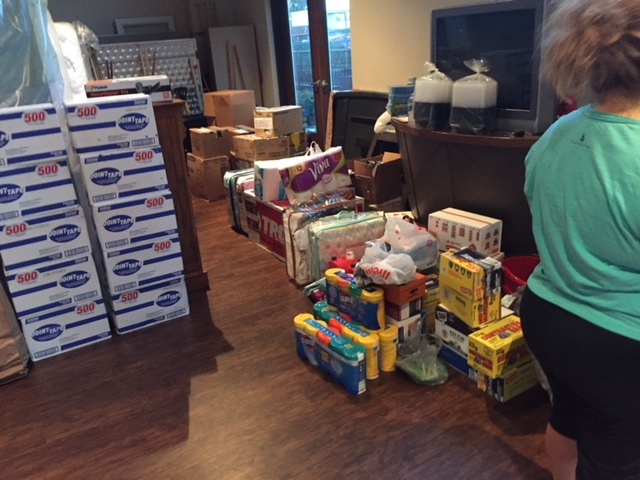 We are still eagerly accepting items for Houston. Please see the needs below. These will be updated as we get more information. Please email [email protected] to pledge items. Thank you! Our Semi Trailer made it to Houston on Monday afternoon. It was greeted by 40 people who unloaded it in 90 minutes. See below for photos. Status on Semi #2 – We have half of a second semi of goods yet go to Houston. We are tentatively planning on loading the semi next weekend at the greenhouse. Also next weekend – Andy Sytsma, the pastor of New Life CRC in Houston, will be joining us for worship next Sunday (10-29). Together he and I will jointly lead worship using Isaiah 43:1-3. Pledges, commitments and communication: [email protected]. Receiving a call from a Hudsonville community mom whose 4th grade son has been collecting pop cans and doing fund drives for Hurricane relief for the Red Cross. When he heard about our effort, he opted to gift the funds to our project. Hearing that members Lee and Nancy Bunning were founding members of New Life CRC, our partner church in Houston. 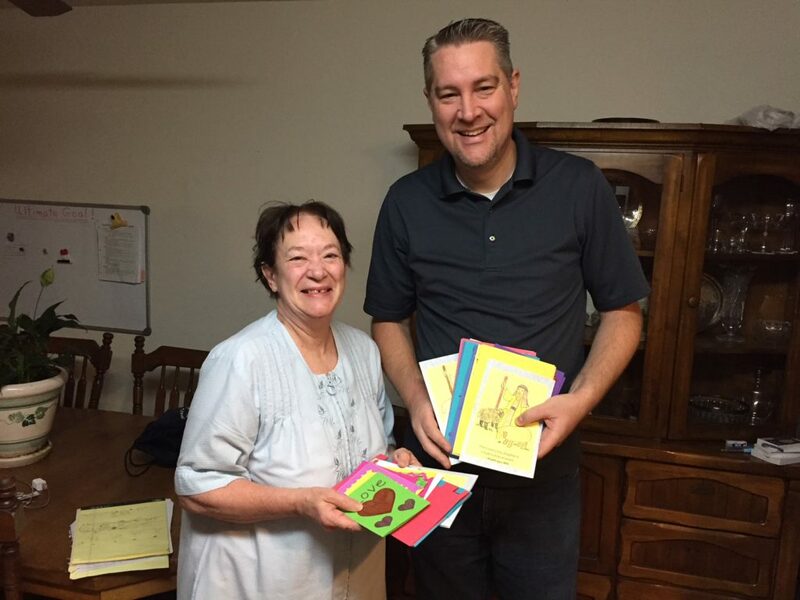 The woman who donated clothing to our project because 2 years ago our church provided her food for three months through Feeding America. Bob Goff (Love Does) has been following our project! It was Mid-September when a truck driving couple in our congregation called the church office and said, “Pastor, we’ve prayed about this and talked to our boss. 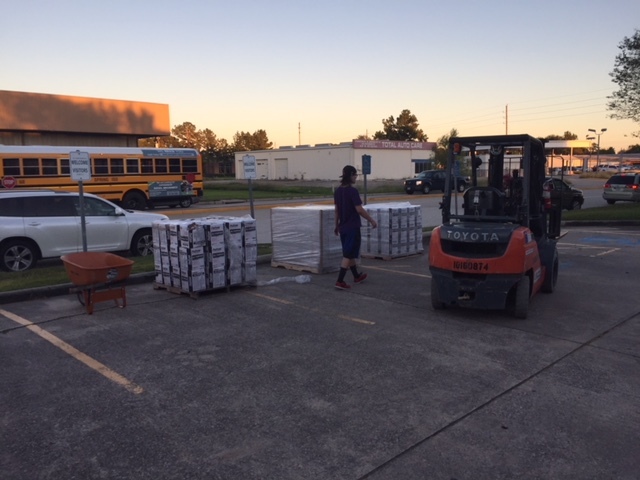 We’ll donate the time, my boss will donate the truck, if you want a trailer for Houston relief, it’s yours.” He would go on to say, “with my life and my schedule, I can’t do much for the church, but I can drive a truck, that’s what I know how to do.” Our staff went into overdrive – sometimes with a clutch and sometimes without. 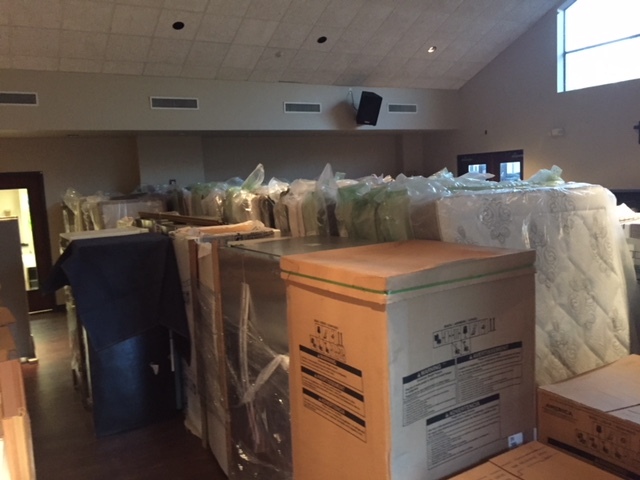 We contacted World Renew, connected with another Christian Reformed Church in Houston, and we said, “what do you need, we have a 53’ trailer?” Weeks later they told us and our jaws dropped at the lists of items. The need was bottomless. We decided to put it out there – out to you. We said, “activate your connections, see what can happen. Here’s a great, non-threatening way to connect with your neighbors, business connections, and everyone in your orbit. Cash in favors and talk it up.” We wanted this to be as much about you and your connections as a relief effort. Some of you gave money, your time away from work, and your own possessions. Thank you. Some of you took risks and had new conversations with people not connected to a church – thank you! 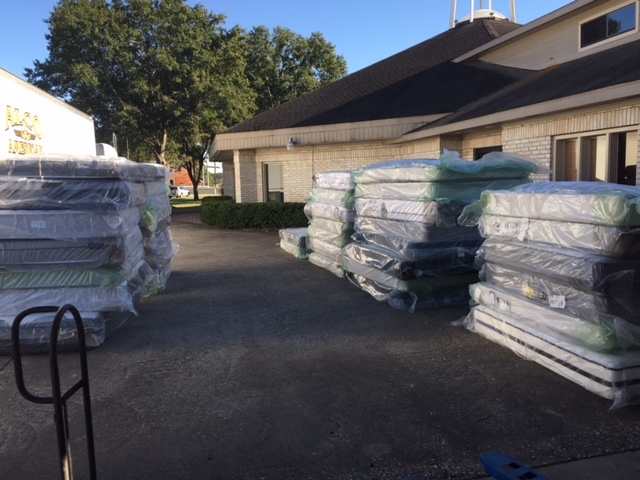 We would hear back from many of them who said, “this is exactly what the church should be doing – God bless you Georgetown!” Some of you stood long shifts at the trailer without a lot of drop-off traffic; thank you for that. You were sometimes met by skeptical folk and you may have had some skepticism of your own. You did this as individuals and in some cases, couples. Thank you for that. A 53’ trailer was packed tight – tighter than the driver had ever seen a trailer packed. It was packed to the very last inch and personal messages of love and good wishes (Godly graffiti) were written on the cardboard from Georgetown and West Michigan. Our 53 foot truck was not enough. You see, if we pack tight, we have another 30 feet of donated items that did not fit on our truck. There was no Thule big enough to put on the top of that semi-trailer. We needed a bigger truck! In worship on October 15, moments after the need for more space was shared with the congregation, a second truck was donated. It was donated with one string attached, that truck must be filled as well! 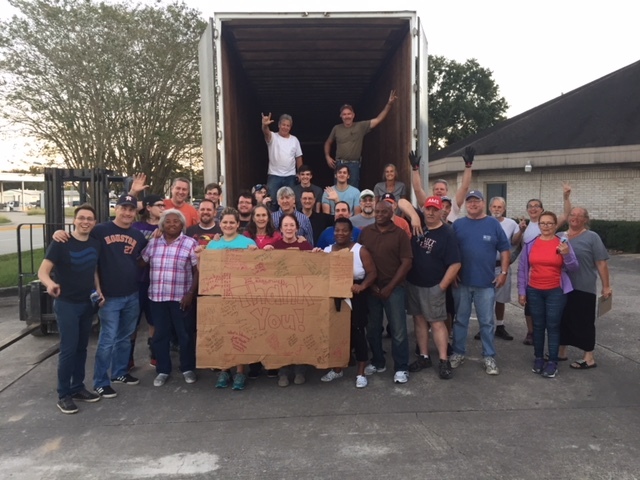 As we considered the best ways to fill the second truck, Pastor Marc, Al, and Dwight delivered the first truck in person to Pastor Andy and our new friends at New Life in Houston. Their images and stories are included in the media below. Humanly speaking, all of this began because one person said, “I can’t do much for the church, but here’s what I can do.” It is amazing what can happen when we approach our life together with that attitude, with that Spirit. We will surely have more to show and more to tell, but this is the firstfruits from the staff. This is what Georgetown does. This is what God does. This is what love does! To God alone be the glory! Here is a comfortable way to make a natural connection with your friends, neighbors, co-workers, and business associates that is church and Kingdom related without being preachy or pushy. Here’s an opportunity to say to people you know, “hey, my church is involved in some hurricane relief, want to join me – or join us – in helping?” Doing so puts the emphasis on your relationship with them and a good cause without putting you or them in a place of confrontation. Who knows, it might be the starting point for other conversations. So in whatever ways you are connected, please talk it up. If you are in a book club, coach, part of a neighborhood, or a social media neighborhood, spread the word! 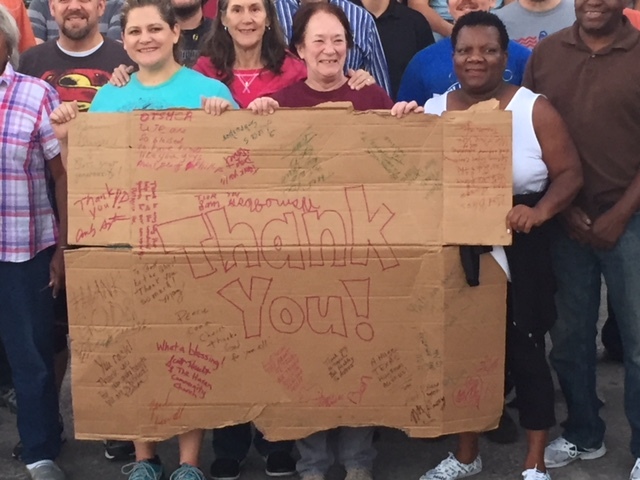 If you are connected with a business or organization who might be willing to provide items invite them to connect and give; we have a big trailer to fill! Drop off new donations (we cannot accept used items) to the trailer in the north parking lot of Georgetown CRC. The trailer will be in the parking lot from Tuesday, October 3-Friday, October 13. Oct 14 will be loading day at a local shipping dock. Financial contributions can be submitted to the church office, please indicate “Georgetown CRC – Houston Relief” with your gift. people to sort and effectively pack items on the truck (Oct 14).